Thanks to Adweek for honouring us with 5 Media Plan of the Year Awards, our biggest win to date. PHD was the joint biggest winner of the night at last night’s Adweek Media Plan of the Year awards, walking away with 5 wins across 4 campaigns from 3 countries. Congratulations to our offices in New Zealand (2 wins), US (2 wins) and UK for scooping so many of these prestigious awards. With a constant stream of information inundating consumers at every turn, it’s becoming harder than ever for advertisers to reach their target audiences in meaningful ways. That’s where our Media Plan of the Year honorees come in. Whether they were turning social media outrage into candy sales like Snickers (see more on our Media Plan of the Year here) or showing beer drinkers how their empty bottles can help save the environment, these 23 winning teams took media planning innovation to new heights in 2017, proving that creative thinking and bold strategies are still able to cut through the clutter. Many thanks to our esteemed panel of jurors who carved out time to judge another record year of Media Plan of the Year entries. 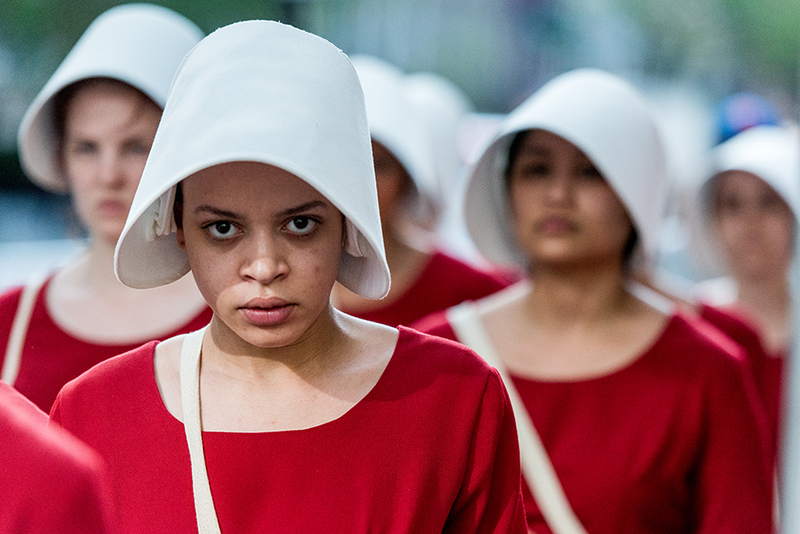 • Maureen McCloskey, Kinetic U.S.
To promote the dystopian world of The Handmaid’s Tale, where women have no voice, Hulu and its agency UM Los Angeles tuned in to and amplified female-driven conversations from social media and the post-election protest marches early this year. The result was “The Laws of Gilead,” a digital, social, editorial, radio, experiential and TV effort that drove home the oppressive rules of the near-future drama (women aren’t allowed to read, they must wear the color of their caste, they’re subservient and powerless) by linking them to current-day events. One highlight of the campaign involved having a group of women in red cloaks, the signature handmaid outfit, roam the South by Southwest festival and other high-traffic events. Costume exhibits with partners Vogue and Vanity Fair emphasized the harsh symbolism of the apparel so that potential viewers could “feel the impact in a relevant context,” Sage says. An art installation on New York’s High Line encouraged people to take one of the 4,000 stocked copies of Margaret Atwood’s novel on which the series is based, while thought leaders spread provocative quotes from the once-banned book. Fans responded immediately. The Handmaid’s Tale was the internet’s most-discussed show during its launch week, with 1.8 billion earned social impressions. Awareness skyrocketed among nonsubscribers, the series premiere drove the highest daily subscriptions to the streaming service year to date, and the drama became the most-viewed debut of any series on Hulu. —T.L.S. 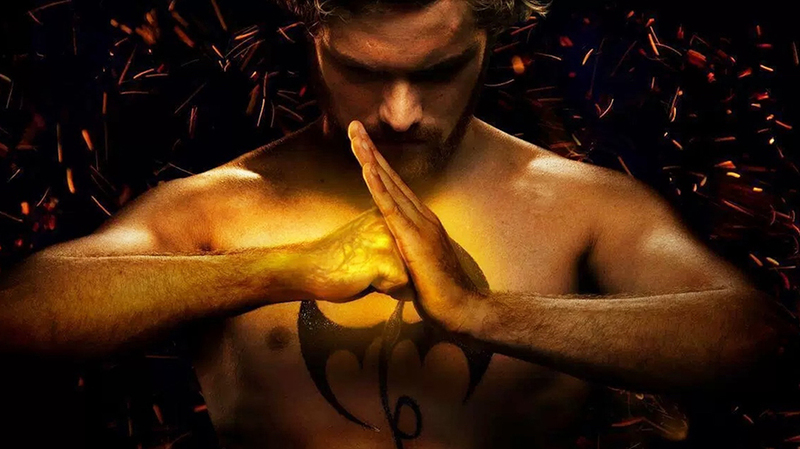 Netflix knew that the sweet-spot audience for its new Iron Fist series wasn’t going to be easy to reach. The people most aware of the Marvel comic book—and likeliest to watch its TV adaptation—were overwhelmingly male, millennial and hard-core gamers. “Gamers are highly aware of product placement and integrations, and if done wrong it can be pretty lame,” says Shauna Spenley, vp for marketing, licensing and merchandising, North America at Netflix. The platform and its agency, MullenLowe Mediahub, found a way to engage gamers by inviting them to activate a code on the gaming news and info sites IGN and GameSpot. Once the code was accessed, users were treated to footage from the series. The campaign continued with a livestream of two gaming superstars, Justin Wong and Daigo Umehara, facing off on the platform Twitch. Targeting an audience that is highly skilled at avoiding ads certainly was a head-scratcher for Netflix and MullenLowe Mediahub when they were looking to develop a campaign for the third season of Black Mirror. If applied improperly, the strategy might have backfired, given the target’s aversion to ads. “With the anti-blocker concept, we felt it struck the right balance of getting what the show was about and reaching its intended audience,” says Shauna Spenley, vp for marketing, licensing and merchandising, North America at Netflix. The results were strikingly better than the previous season’s campaign had been, driving five times more search volume and 30 times more conversation—or more than 1 million posts. The series also became a top 15 original streamed show in 2016, according to Symphony Advanced Media. —J.S. After five years of declining Christmas sales, Marks & Spencer needed to make a change. So the British department store decided to refocus its holiday advertising on a core demographic it had been neglecting: women over 45. Cue Mrs. Claus—the empowered and relatable 11th-hour heroine of a heart-tugging two-minute spot from Rainey Kelly Campbell Roalfe/Y&R, then the brand’s creative agency—brought into the real world last winter through a wide-ranging media campaign from Mindshare. A keystone TV partnership with Britain’s Channel 4 kicked off the network’s Christmas programming during hit reality show Gogglebox, placing Mrs. Claus in custom advertising with the broadcaster’s own talent. A social response activation saw Mrs. Claus take over Marks & Spencer’s Twitter feed to interact with fans. A line of Mrs. Claus products—including her outfit from the main spot—quickly sold out from the retailer’s online and brick-and-mortar stores. The stakes were high when Dan Donovan and Mat Bisher developed the “White Hats Wanted” TV campaign for the U.S. Army. That’s because the duo, who serve as executive creative directors for McCann Worldgroup, knew that over the last 10 years, cyber attacks on U.S. government institutions have risen 1,300 percent. The campaign’s mission was tough: convince the best and brightest hackers to turn a new leaf and help fight cybercrime. Donovan and Bisher developed a TV ad that featured lines of code being rapidly typed out on an unmanned computer screen. To the untrained eye, it didn’t look unusual. But the code contained a secret message, challenging hackers to solve a decryption puzzle that was created by Army Cyber Command personnel. All told, 700,000 hackers participated, and the Army invited the best among them—a mere 1 percent—to explore the opportunity of becoming a White Hat. Of that select few, 30 percent contacted the Army—a conversion rate that was 15 times higher than the Army’s average. —J.S. How do you rouse people’s passion for taking pictures? The answer to that question became a complex one for GoPro when it examined the varied interests of its wide target audience: consumers in 14 different countries who speak nine languages and use five different types of currencies. For the online campaign “There’s a Hero in All of Us,” GoPro’s creative team and its agency, Mediabrands San Francisco, analyzed research on what consumers in specific countries liked to photograph. They then built out the campaign with 1,600 different pieces of addressable content. “Not only were we trying to find imagery that spoke to each of the audiences that we were targeting, we were also trying to highlight the product attributes of our Hero5 camera,” explains Sacha Coates, GoPro’s global advertising manager. 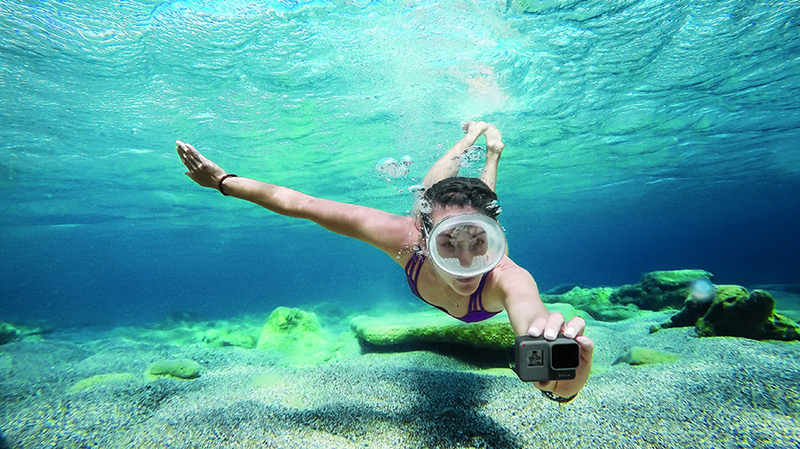 A consumer in Germany, where people love travel photography, might receive a message featuring the camera’s waterproof design, for example. The results: over 153 million impressions. For every dollar spent on advertising, GoPro earned nearly $7 in return, which was a surprise to J.P. Aguirre, evp, managing director, global managing partner at UM San Francisco. “The actual intent of this work was more prospecting, trying to drive people down the purchase funnel. It wasn’t intended to drive immediate sales,” he says. —J.S. Airbnb’s quest to become a travel company instead of just a hotel competitor includes offering access to hip-hop battles in Seoul, truffle hunting in Tuscany and other activities that veer more bucket list than prepackaged tourism. The company’s new Trips program aims to move Airbnb “beyond homes into experiences,” says Rob Davis, Starcom USA president, and its debut late last year was critical to the fast-growing brand. 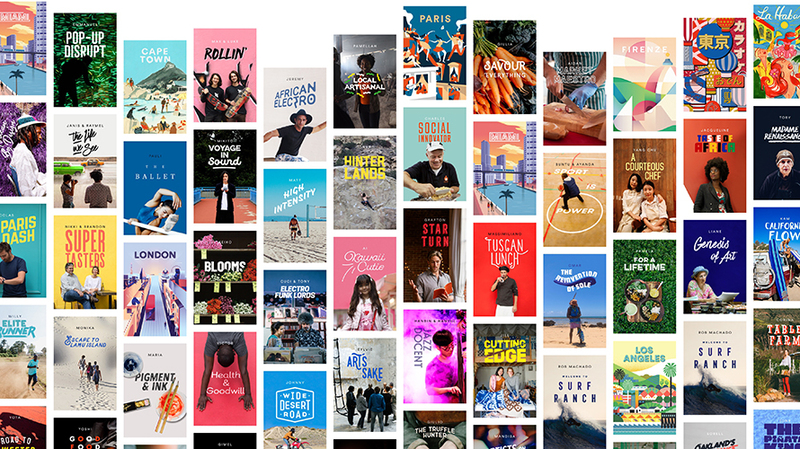 To spread the word about curating on-the-ground activities and providing insider access to hot spots, Airbnb turned its Facebook Live feed into a community-driven broadcast network for 24 continuous hours so that hosts from around the world could share their trip concepts with travelers. Starcom’s campaign used location-targeted digital and out of home to maximize talk value in a short burst, similar to a news cycle, and partnered with The New York Times and Condé Nast. Trips’ movie-style trailers fanned out over Snapchat Discover, top sites and social networks. The launch generated 1.3 million Trips-related searches, nearly a million visits to the new Trips page on Airbnb’s site and a 6 percent increase in top-of-mind awareness among millennials. Videos racked up 38 million views, with 31,000 shares, while the campaign overall scored 130 million impressions. —T.L.S. Flash back to October 2016, just for a minute. 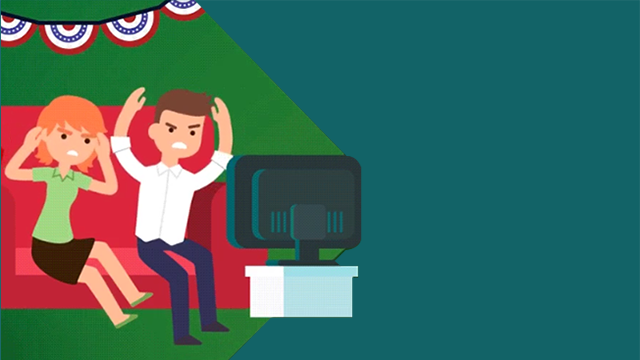 With three major presidential debates in a never-ending election cycle, you probably noticed a growing amount of complaining on Twitter—and so did Excedrin. Taking advantage of the increased chatter around politically induced headaches, aches and pains, Excedrin created surveys and messaging for public relations use. Soon, Excedrin and its agency, PHD Media Worldwide, realized that there was an even bigger opportunity than they had noticed at first. In early October, Twitter let Excedrin and PHD know there would be an opening for a Promoted Trend on the day of the third and final presidential debate, Oct. 19. How do you please a super picky, detail-oriented group of consumers like car enthusiasts? That was the challenge Team One faced when client Lexus asked the agency to create buzz for one of the automaker’s performance vehicles, the Lexus RC. Team One opted for a social-driven campaign to get fans excited about the car, using Facebook Live to stream a 10-hour event where auto enthusiasts could watch a Lexus RC be built in real time. 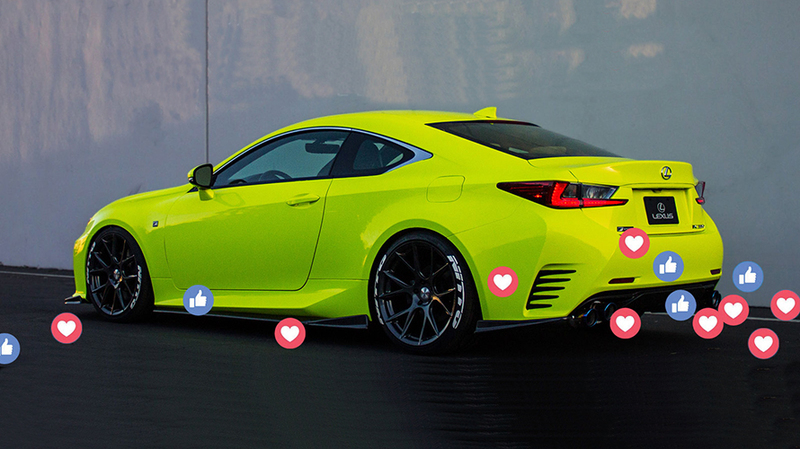 Fans were even able to vote on Facebook to help decide what the car should look like, from paint color to souped-up features. The decision to use Facebook Live was risky, but done thoughtfully. “We needed to connect with auto enthusiasts in a way that hadn’t been done before, allowing fans to engage and have a say in what the customized result would be. In the end it was something that was really unique for Lexus and the automotive category in general,” says Team One associate media director Scott Thornton. When the need for caffeine hits in the morning, the last thing you want is to wait in a long line for your favorite beverage. To help ease the a.m. rush, Dunkin’ Donuts and agency Trilia Media came up with a clever idea to deliver coffee to its most loyal customers (DD Perks members) faster: It partnered with popular traffic and navigation app Waze to put a new spin on mobile ordering. Dunkin’ drinkers could open Waze to search for the nearest Dunkin’ Donuts location, then “order ahead” to have their favorite drink and food items waiting when they arrived, all through the app. 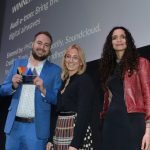 The partnership felt like a perfect fit, according to Dunkin’ Donuts director of media and partnerships Nick Dunham, because Waze is all about saving consumers time on their commutes while Dunkin’ wants to power those consumers to kill it each day with a caffeine kick. “Due to this common value proposition, Dunkin’ saw the opportunity to create a meaningful utility and seamless experience” for Waze’s coffee drinkers, Dunham says. Since its launch in March 2017, the “Order Ahead” campaign scored 1.4 billion impressions in earned media. —K.R. To help Mountain Dew grab a piece of the booming esports market—expected to reach $1.5 billion by 2020 and rich in 18-34 men—OMD didn’t just line up a run-of-the-mill sponsorship. 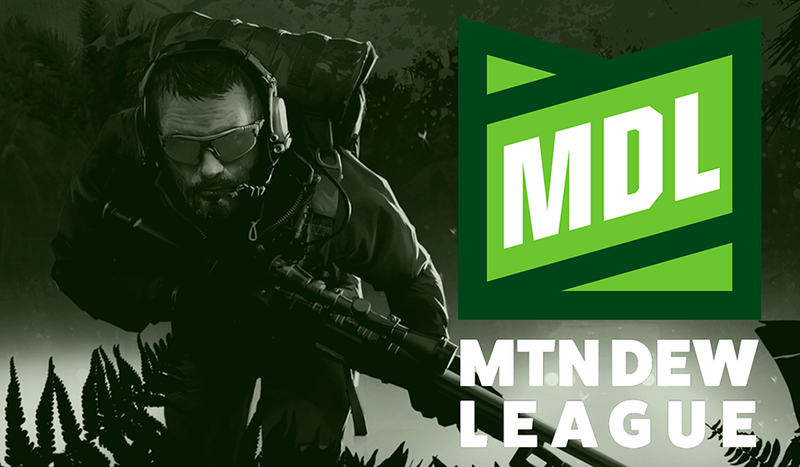 Instead, it created an entire amateur gaming league, dubbed the Mountain Dew League (or MDL), aimed at players looking to hone their skills and break into the majors. Over a four-month season, the 50,000 teams that entered shrank to just eight competing for a unique grand prize—a single spot in the pro league for Counter-Strike: Global Offensive, hosted by esports leader ESL. More importantly, each week of the campaign Mountain Dew released a new video featuring tips from pro gamers or a profile of an up-and-coming gamer, helping greener players find a path to success. Paid promotion on video-game livestreaming hot-spot Twitch—where the competition also appeared—helped ensure the audience actually saw that authentic content. And they did: more than 2.6 million viewers tuned in for an average of more than three hours per week, making MDL the second-largest season on ESL’s 2016 calendar—and guaranteeing MDL would return for another season, now underway. —G.B. Carmichael Lynch’s TNT Inside the NBA content marketing initiative for Jack Link’s marked a smooth evolution of the brand and its new partnership with the professional basketball league. The timing of the initiative, which launched during the NBA playoffs, was tied to athletes’ recovery as the brand looks to “more overtly link jerky to a better way to get your protein,” explains Tom Dixon, Jack Link’s CMO. According to Goodspeed, the content effort succeeded, in large part, because it “felt like it came from the same brief” as the previous “Working Out With Sasquatch” campaign, which was introduced last year with a spot starring the NFL’s Odell Beckham Jr. and Clay Matthews. Meanwhile, the brand itself wants to be seen in a different light, becoming more of an everyday snack for active adults. “Sports is the first foray into that transition,” Dixon explains. Everyone’s favorite Lego superhero made his theatrical film debut earlier this year in The Lego Batman Movie. Voiced by Will Arnett, this version of Batman is a little grumpy and a little brash, which translated perfectly into a campaign where the Caped Crusader invades TV screens across the U.K.
After running in prime time on Channel 4 for four days, the show intros had been seen by 40 percent of the entire U.K. population. As a result, one in six of those who saw the campaign booked a ticket to see The Lego Batman Movie. —S.M. Who better than Phil Dunphy, Modern Family’s geek-in-residence, to introduce television viewers to Google Home? In an episode late last year, the gadget-obsessed dad showed off his new device by asking it to play an obscure movie soundtrack, dim the room lights and find a video of a pirate playing badminton with a kangaroo. His kids were duly impressed. PHD worked closely with the hit ABC comedy’s showrunners on the brand integration, while Google vetted the script for accuracy. The goal was to demystify the voice-activated product, put it in front of the Emmy-winning series’ upscale fans and boost sales going into the critical holiday shopping season. Dunphy (played by Ty Burrell) was a pitch-perfect spokesman because he’s “an early adopter who famously waited in line for an iPad for an entire episode,” says Nick Vernola, PHD account director. The integration drove a 34 percent lift in recall, a 22 percent gain in brand favorability and an 8 percent uptick in purchase intent with the target audience, snagging a 122 percent return on investment. –T.L.S. When you’re working with The Late Late Show’s affable host and viral video maven James Corden, there’s no need to micromanage. That’s why Spark Foundry’s executives collaborated closely with Corden and his team on a stunt called “Starbucks Theater” late last year, but still gave them breathing room to “make sure they had the freedom to have fun and generate some naturally hilarious moments,” says the Publicis Media company’s evp, managing director Kathy Dillon. Spark’s idea for “Starbucks Theater” was to highlight the barista as the heart of the retail giant’s customer experience. The project turned employees into stars for a day in a mini-movie created on the spot with the help of Corden, an aspiring screenwriter who happened to be typing away in that local coffee shop and, randomly, actor Jason Schwartzman. The resulting 12-minute short, a Western-themed flick that included a dramatic “knife” fight with the coffee chain’s recognizable green straws subbing for weapons, boosted brand memorability 280 percent, message memorability 226 percent and likeability 463 percent for those consumers who watched a Starbucks ad airing after the integration. It pulled in more than 1.6 million views and a 99 percent positive rating, with more than half of all viewers watching nine-plus minutes of the skit. –T.L.S. Thousands of kids miss school every day because they don’t have clean clothes to wear, and their truancy can contribute to a downward slide in their lives, leading to higher unemployment, welfare and incarceration rates than their classmates. 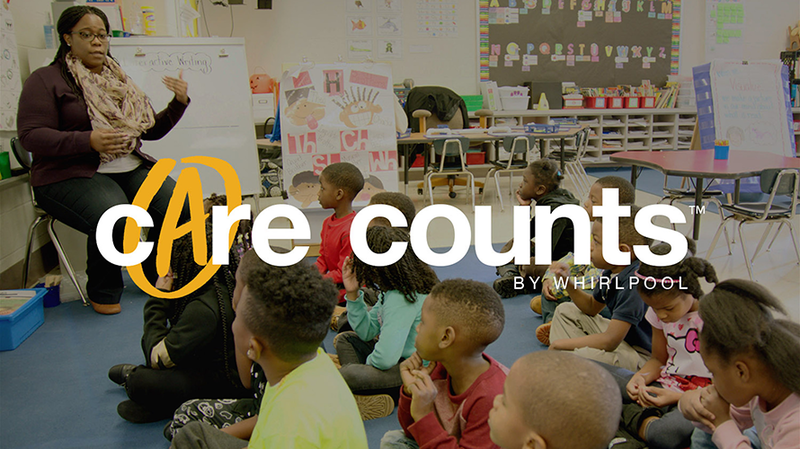 That heartbreaking reality inspired Whirlpool to launch “Care Counts,” a program that installed washers and dryers in 47 schools in 10 U.S. cities last year, providing full access for at-risk children. Integrated data collection devices meant that the brand could keep track of participating students and how the program affected their behavior. The program garnered 340 million earned media impressions, and branded videos pulled in 12 million views on YouTube and Facebook, contributing to double-digit lifts in ad recall among the target consumer. And perhaps the most telling stat: school attendance jumped by 93 percent, with one youngster summing up in a video clip, “I feel like nothing can stop me.” More than 1,000 schools have asked to become part of future “Care Counts” efforts. —T.L.S. What does a dazzling light display have to do with water quality in the Thames River? A partnership between environmental group Thames21 and agency MEC U.K. connects the two via a permanent high-tech work of art that debuted this spring on the landmark Sea Containers Building. The program, three years in the making with a carbon-negative impact versus previous lighting on the structure, uses data from water samples taken each day to create a light display that communicates the river’s health in real time (it’s improving, stable or declining). MEC, which built an AI algorithm to translate the numbers, supported the launch with an out-of-home campaign across 2,500 locations, a water quality report in the daily London Evening Standard and regular updates on Twitter, which also scouts for Thames21 volunteers. Not only has the massive waterfront installation, designed by artist Jason Bruges, become a local attraction, it’s opened a lot of eyes. Within two weeks of launch, one in three Londoners had heard of Thames Pulse, and 80 percent of those aware said it highlighted a worthwhile cause. There was a 44 percent jump in pageviews and upwards of a 100 percent increase in unique users to Thames21’s website. Engagement rose 25 percent on Twitter. —T.L.S. Preserving beaches by drinking beer sounds like a pretty ideal (not to mention easy) way to help save the planet, which is exactly what DB Breweries set out to prove to its customers and New Zealanders. Earlier this year, the brewery developed a fleet of machines that crush glass beer bottles into a fine sand safe for people to touch and enjoy. DB supplied the sand to national road projects, construction companies, hardware stores and other industries, reducing dependence on the country’s own natural sand. 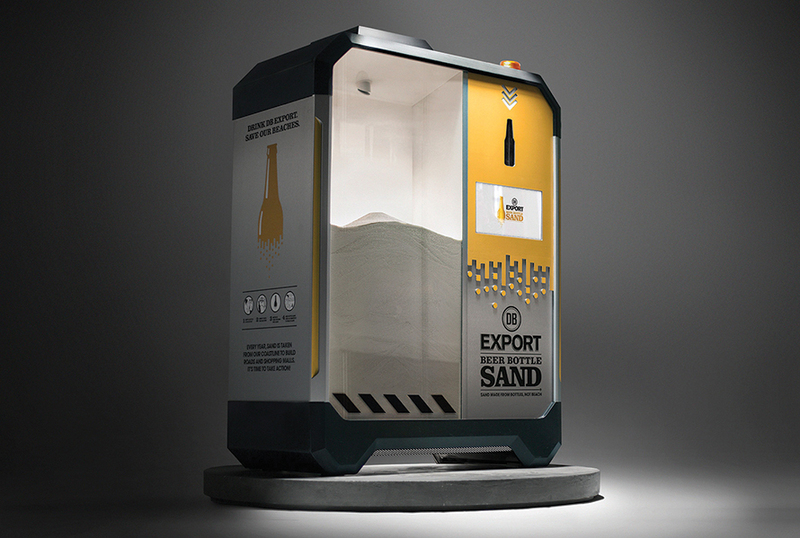 To increase consumer awareness of its recycling and conservation efforts, the brewery worked with PHD New Zealand to launch the “Beer Bottle Sand” campaign, which involved TV spots, online video and even bringing the bottle-crunching machines to beaches around the country so that New Zealanders could see firsthand how the process worked. “Our case study video ended up going viral [receiving 53 million views], which helped people believe in our cause since they could see the process with their own two eyes,” adds Kat Burnett, PHD’s group digital director. The campaign generated 204 million impressions, reaching 97 percent of its target audience, and boosted the company’s sales by nearly 10 percent. Requests for the machines are now coming from as far away as Dubai. “Saving beaches by drinking beer? Who wouldn’t want to?” asks Amanda Palenski, PHD’s group business director. “As if we needed a reason.” —S.M. 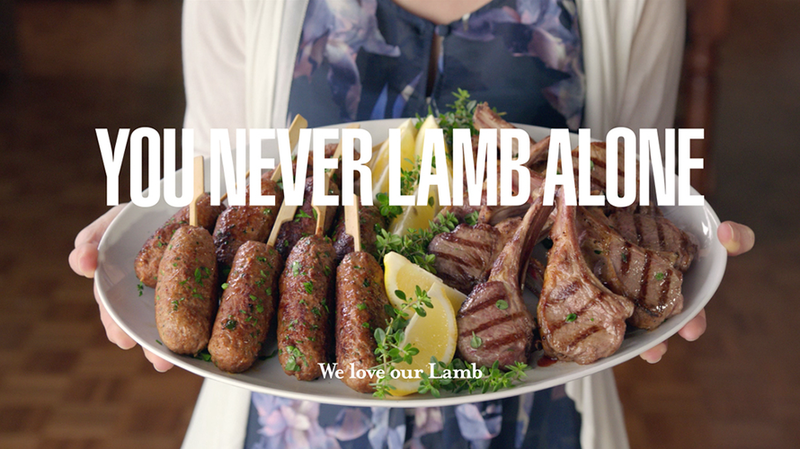 Australia’s marketing campaigns rarely reflect the fact that it is one of the most diverse countries in the world—but last year, UM Sydney used that insight to bring Aussies together over their shared love of lamb. UM followed creative agency The Monkeys’ satirical, all-inclusive broadcast spot promoting Meat & Livestock Australia with a media plan that reached each demographic as directly as possible. From Vietnamese out-of-home work to Braille posters, WeChat messages and placements in the LGBTQ Star Observer, UM carefully targeted specific communities “often neglected by mainstream advertising” with the help of national census data, according to UM Sydney strategy director Chris Coulter. Imagine that a natural disaster is about to strike, but you’re not in range of a TV or radio. Thanks to the Federation for Internet Alerts, you’ll be notified via an alert on your phone, smartwatch, laptop or even Amazon Echo. Over the past few years, Engine Media has been working with FIA to use artificial intelligence to create the most effective means of distributing alerts across the globe. When police issue an amber alert, for example, FIA can take that information and turn it into an ad unit that is geotargeted to the location from which the alert originated, scan an image of the missing child and deploy facial recognition technology to help find him or her. “We are taking alerts every second and pulling them in from all of these different servers from all over the world, aggregating them and putting them in a database. We are doing them in real time, and in milliseconds we are able to send those alerts to subscribers,” explains Jason Bier, evp, general counsel and chief privacy officer at Engine Media. In July 2016, Engine Media partnered with Amazon to launch an alert hub for FIA on the Amazon Cloud to make the process even more efficient. When Hurricane Harvey struck in Texas last month, FIA used the hub to serve more than 1 million alerts before and during the official state of emergency. Engine Media is now working on perfecting a skill with Amazon’s Alexa called “SOS.” Not only will the skill be able to alert people of upcoming natural disasters, but Alexa will be able to share the proper protocol to stay safe and where those in danger can find safety. –K.R. Thanks to Hollywood, everybody knows about the U.S. Army Rangers and Navy SEALs. But historically, the U.S. Air Force’s Special Operations division hasn’t enjoyed the same degree of pop culture visibility. So to help boost awareness, GSD&M created Nightfall, a virtual reality PlayStation game about becoming an elite airman—by learning how to jump out of a plane into a war zone. Aimed at potential recruits under 30, and developed in partnership with PlayStation and studio Firesprite, the title included five training scenarios. Each one taught players a different skill set to prepare them for the sixth and final mission as a pararescueman navigating a hostile environment to save a fellow service member. Promoted throughout the console’s broader ecosystem as well as owned and paid social channels, Nightfall also needed to reach members of the target audience without VR headsets—a problem solved by trailers driving to 360-degree video jump simulations online. With 83,000 downloads and 50 million impressions within the first two weeks of launch, the campaign was a clear success, bringing the Air Force’s tradition of experiential marketing at events like air shows and STEM fairs “off the road and into the home,” says Amanda Parker, associate media director at GSD&M. “You can’t really try the Air Force on,” she adds, but Nightfall provided a way to “give people a taste of what [its] brand means”—and to do that “in their living rooms,” no less. –G.B.